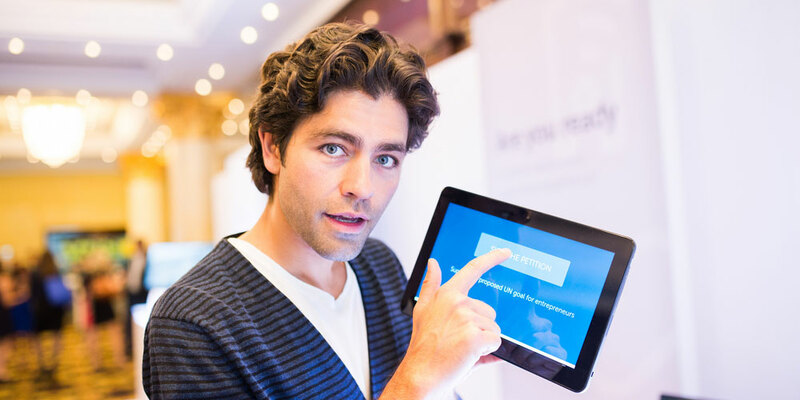 The following is a guest post by actor, filmmaker, entrepreneur and sustainability champion Adrian Grenier. As Dell’s Social Good Advocate, Grenier collaborates with us to promote healthier, more sustainable choices and actions through digital storytelling and advocacy. Dell also supports Adrian’s ocean conservation work through technology. You can follow Dell and Adrian’s work together using hashtag #legacyofgood. It’s holiday season, which means that most of us have our hearts set on giving and receiving shiny new gifts. I love an electronic upgrade as much as the next person, but we also need to be mindful of just how much impact these purchases can have on the planet. Especially with technology, the rapid pace of innovation leaves still-working electronics feeling obsolete, which contributes to our growing e-waste problem. The United Nations reported that the world created almost 42 million metric tons of e-waste in 2014, and only one-sixth of that was recycled! But what people don’t think about is that those gadgets are still full of life and value. Many of our gently used or “broken” electronics can be repaired, refurbished and given to those who might otherwise not had access to technology. For example, the National Cristina Project provides an easy nonprofit locator to help businesses and individuals find nearby organizations that can put your old electronics to good use. So before you hit the shopping centers or your favorite online retailers, here’s a short list of ways to make sure those heart-warming holiday gifts lift receivers’ spirits but not their environmental footprint. 1) Does this gift fill a need? Overconsumption is a huge problem in the U.S. and beyond, and the holiday season only makes it worse. So before you give a gift out of social obligation, ask yourself if it’s really necessary. Does the recipient really need or even want the gift? Will he or she really use it? Especially if you’re considering buying new electronics, make sure that your careful selection won’t end up in a drawer gathering dust. A big part of our overconsumption problem is due to buying products with planned obsolescence or that just aren’t built to last. In the world of electronics a device that’s built to last for a decade is priced just high enough to make it easier for budget-conscious shoppers to buy a cheaper, flimsier option. What you can do: Buy better gadgets. If you’ve decided that the gift is really something your loved one will use, spend the few extra bucks to get the durable, well-rated version. And do the research to understand whether the products consider the environment in how they’re designed, shipped or manufactured. For example, Dell recycles excess carbon fiber from other industries into their Latitude and Alienware notebooks. Or consider buying refurbished! When you buy “used and improved” products, you extend the life of all the resources used to make the gear, and save major money at the same time. Research from the Consumer Technology Association studied the lifespan of different electronics, and found that laptops, tablets, and smartphones last longer than we might expect them to. 3) Does this brand reflect your values? 4) Is it really garbage yet? Although your three-year-old tablet may not be performing up to your high standards, it’s still got plenty of life left, and there’s a huge demand for reused electronics in other parts of the world that people in the U.S. might consider garbage. What you can do: Sell, trade-in, or donate your working but unwanted electronics. Sites like Amazon, Gazelle, Glyde and eBay will give you an instant price for your old smartphones, tablets, computers, and gaming consoles, and make it easy to trade them in for cash. If that gadget is really broken or too old to sell again, you’re going to want to recycle it – and do it the right way. Improper disposal can result in electronics being shipped overseas, where people harvest the valuable metals from your gear using unsafe, unhealthy, and highly polluting methods. So once you’ve determined that recycling is the only option for that old gadget, make sure you do it the right way. What you can do: Find a responsible recycler. There are plenty of online resources – Call2Recycle and Earth911, to name just two – that help you find a place to responsibly recycle almost anything, including your electronics. Make sure you choose a recycler that commits to skip shipping hazardous waste to developing countries, and ideally one that recycles electronics in the U.S. in an environmentally friendly way. 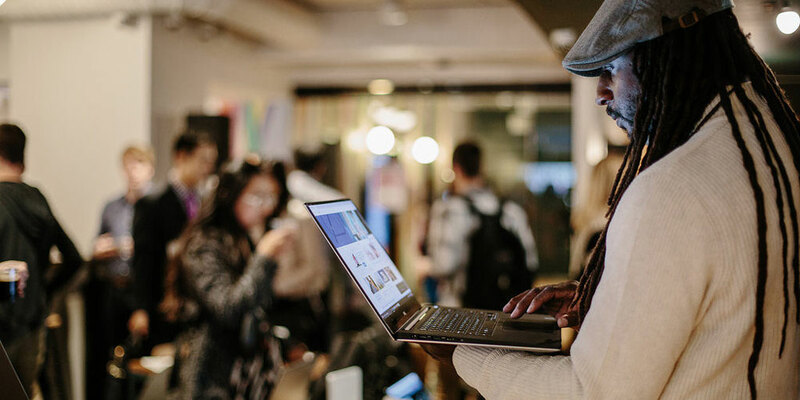 The e-Stewards certification will help you find a good recycler, and Dell also makes it easy through its Dell Reconnect partnership with Goodwill. You can bring any brand of computer, as well as monitors, keyboards, mice, cables – just about anything that can be connected to a computer – to any of the 2,000 Goodwill locations nationwide and they’ll make sure it gets recycled properly. Before you recycle any electronics, make sure you erase your personal data first! To show how well this works, last year I joined Dell in a NYC Tech Takeback program, where we partnered with Uber and Goodwill to collect unwanted electronics from across the five boroughs and deliver them to Goodwill locations across the city to be responsibly recycled. Through that program, we managed to collect more than 6,000 pounds of e-waste and keep it out of landfills. This holiday season, let’s embrace the joy and love that gift-giving brings – but let’s do it in a way that protects the planet for the future. Happy holidays! Great article, and a guideline for shoppers!